Well, I am left to clean up a mess by a camera person who didn't have the volume up enough which gives me a loud buzz. Is there anyone out there that clean this sample file, thus the whole file to a point that is worth saving? Thanks in advance. If it ends up not being worth it, I'll probably just lay music over it. I know it's beyond my ability to do it justice, but if you're using Sound Forge, under the FX Favorites menu, Sony, try the multi-band dynamics menu. What it basically allows you to do is isolate a specific frequency ( in this case a hum), and filter it out. then you'd need to do a bunch of work with the volume and clarity of the audio to get it to a useable point. I've used it in past to take feedback hiss from a cellphone out of audio. It's quite effective, but it takes a bit of fiddling around to find the frequency range so you can cull it out. Here's a try. Problem is (see noise chart) that the noise occurs over the very frequencies that the voices occupy. The noise is fairly easy to remove (noise reduction tool in Sony Sound Forge) but it also removes a lot of the voice content. What I did, and this is quick-and-dirty, so I'm sure it could be tweaked better: add 10 db the original file to get the levels up to where you can work with them. 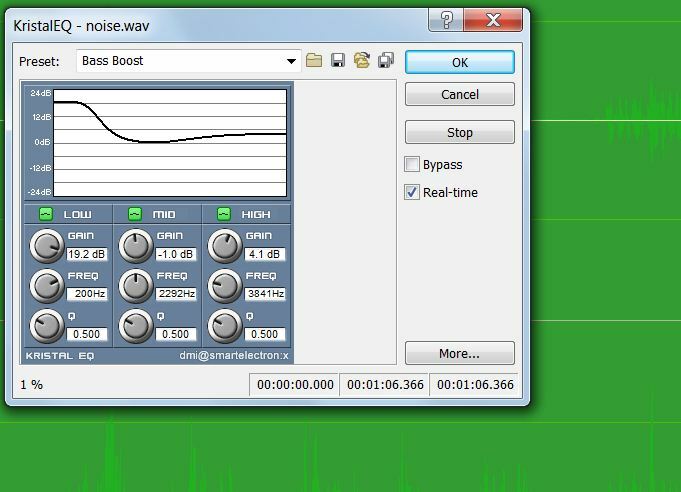 Apply 25 dB noise reduction, sampling from an area that has the buzz only. Apply equalization to try to boost the voice frequencies to bring back some clarity. Best wishes! The good news: it's easy to get rid of the harmonic buzz using one of three techniques. 3.) some sort of adaptive NR based on a noise profile. Of those, #2 is best because there's no echo (from #1) and no artifacts and "burbles" (from #3). The bad news is: there are several other problems. First, the repetitive impulse noise. There is no way to get rid of that. It's broad spectrum so any adaptive filtering will produce obvious artifacts in the desired audio. Its rep rate is pretty fast so it's hard to clean it with a noise gate... you can lower it slightly (and without artifacts) but you also lower the quietest voices. You can remove more of it with a "noise sample" approach but you will introduce a lot of artifacts. You're pretty much stuck with some impulse noise. Second, there is some sort of bad intermod*. Listen to any of the voices, and you will hear a constant-frequency low-pitched tone that is modulated by the voice. If you watch it on a spectrum display, you'll see a peak at 150 Hz. You can dip this out somewhat, but it's still there if you listen closely. Finally, the mics are much too far from the talent, and the room is fairly live. So even after reducing the noise to the point where it is "background," the speech intelligibility is still quite poor. Not useful for anything that I can imagine. 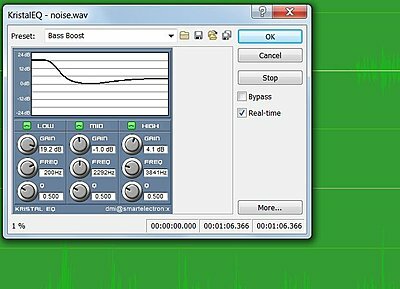 Sorry, I don't know of a magic "repetitive impulse filter" let alone a "bad mic technique filter" so I can't make this much better than my posted sample. There are some (rather expensive) software packages designed for forensic use that might be helpful, but the result will probably sound very unrealistic. This comes up a lot and most of the time the answer is no you can't get rid of the noise without effecting the subject too. your energy is better spent figuring out how to avoid the same problem from happening again. that means a mic near the subject and the camera operator wearing head phones. Thanks guys. I was hoping but oh well. "The bad news is: there are several other problems." A nasty little problem indeed, broad spectrum noise everywhere and very 'roomy' as Greg mentioned. Had a play with it in Vegas and came up with the following, see attachment. Addition to my previous post. Don't think it liked a 12MB .wav attachment. Smaller mp3 now attached. Doesn't sound the best but who knows... with music ovrlay it could get you out of trouble. Mp3 is for pirates, you know! Well, beyond all the technicalities, I'd have a hard time thinking that this one could be saved even if we could remove all the extraneous noise - the voices are just too hard to hear and almost unintelligible with or without the noise. I definitely heard a question in Japanese and an answer in English, so we're dealing with different inherent sound patterns which I think would make it even harder to rescue it. I think it's time for either the re-record filter or the drown-it-out-with-music filter. Print it B&W, superimpose lots of grain and film dirt, and use title cards. Seriously, one has to wonder whether this was some sort of "stealth" recording, unknown to the principals involved. The mic was surely nowhere near where it should have been. [QUOTE=Greg Miller;1641846]Christopher, this website likes only very tiny audio attachments. The "Manage Attachments" page lists the legal types and size limits. It doesn't seem to allow MP3s at all (very strange, since this is an audio forum!). Your best bet for compressed audio files seems to be WMA (also very strange... does Micro$oft own this website?). I tried a WMA file but it doesn't hold up as well as a WAV so am trying again with just the middle 36 secs where most of the dialogue was. Hope this attatchment gets thru! Less noise, but, of course, at the expense of terrible artifacts. I can understand very few words in the speech... it's extremely robotic. That's the trouble with using sample-based cleaning with a broadband noise. I'd have to say that the original clip has more harmonics with significant energy marching into the frequency stratosphere than I can remember seeing in a long time I'm really at a loss to figure out how this got to be so bad. Sort of a perfect storm of noise.